Last week, Pierre Ferragu, an analyst working for Bernstein Research, had some cutting things to say about the state of Nokia’s business, most of which concerned the firm’s finances. However, Ferragu also had something to say about Nokia’s dependance on Microsoft’s Windows Phone platform, and the rapidly diminishing feature phone market. He claimed that “Both could cost Nokia a lot of cash in the near term” and that it “could be too late” to turn back and fix this in a few years. His solution: Nokia should “take the pill” and make a few Android phones before it’s too late; low-end Android phones could come by the end of the year. Ferragu saying Nokia should adopt Android or die isn’t news either. It has been discussed by analysts, shouted across rooms in fanboy arguments, and endlessly rolled out in forums and comment threads all over the Internet ever since Nokia chose Windows Phone in 2011. Many seem to believe that the moment a Nokia phone with Android installed goes on sale, the company’s woes would be over, and it would be back at the top of the charts in the blink of an eye. That’s not the case, but that doesn’t mean we aren’t drooling at the thought of a slick Nokia smartphone with Android installed. Until recently, the chances of it happening seemed as remote as Apple doing the same thing, but one particular development may have given Nokia the chance it needs to experiment with Android, without the need to spend millions in development. We’re talking about a Lumia Google Edition. A Google Edition phone, in case you’re not familiar with the term, is one which has stock Android installed, without any manufacturer user interface over the top. They’re a bit like Nexus phones, but based on existing devices. Samsung was the first on the scene with a Google Edition of the Galaxy S4, which was quickly joined by the HTC One. Sony and Huawei may also launch Google Editions of the Xperia Z and Ascend P6, respectively. Nokia’s hardware is good. The Lumia 920 may be a bit of a beast, but it’s one solid, beautiful smartphone. The Lumia 925 is the perfect evolution – lighter and more attractive. It’s the ideal base for Nokia’s Google Edition experiment. Swap out Windows Phone for Android 4.2.2 Jelly Bean, give the shell an exclusive color scheme, and there you have it, the Lumia 925 Google Edition. Nokia can even leave the spec alone, as the screen is wonderfully bright, and the processor perfectly capable of dealing with Android and its apps. Who wouldn’t want to play with the 8.7-megapixel, Carl Zeiss-lensed PureView camera? A custom user interface is the elephant in the room when discussing Nokia’s adoption of Android. Companies like Samsung, HTC, Motorola, and LG modify the icons, themes, and features of Android to make their phones stand out. If Nokia adopted Android outright, it would want to have it’s own custom user interface. Unfortunately, they cost money to develop, and time to produce, both of which are scarce at Nokia, according to the doom-mongers. But by introducing the Google Edition brand, Google has opened the door for Nokia to make an Android phone without investing in the platform. 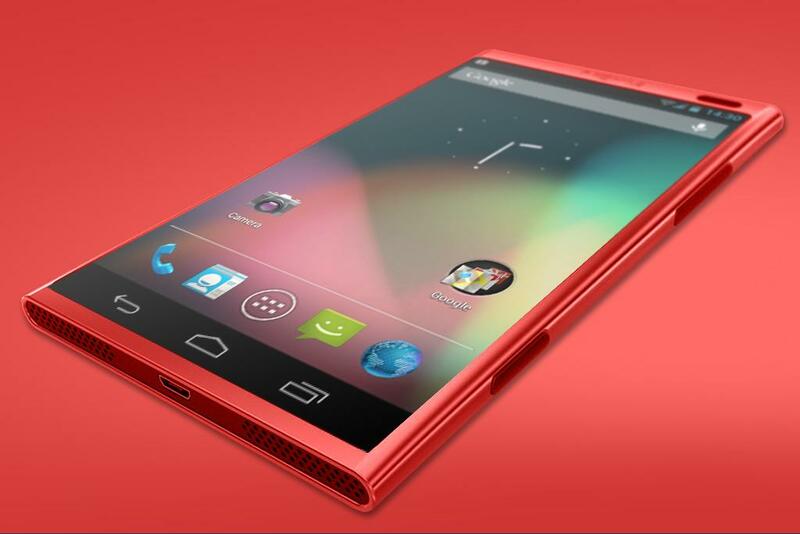 The resulting device would instantly join a showcase of established, desirable Android phones already on the market. So, let’s say it does this, it probably won’t want to produce a boatload of Android Lumia phones in advance, so how about (rather ironically, really) taking a leaf out of Jolla’s book and put up a Kickstarter-style pre-order campaign, where the phones are essentially built-to-order. Throw in a t-shirt and we’ll call it Christmas. We know we’re dreaming here, but we want to see Nokia survive and succeed, and this could be a way of it giving Android a shot with the minimum of financial exposure. A Google Edition Lumia phone probably wouldn’t make Nokia rich, but it would let it see how the public would react to a Nokia Android phone, potentially opening up an important additional revenue stream; something no one should argue against if they’ve seen Nokia’s balance sheet. We say additional, because Nokia should keep Windows Phone as its primary smartphone OS. It’s by far the most successful Windows Phone manufacturer, and figures have shown the operating system is slowly growing in popularity. No, its not an Android killer yet, but who knows. Nokia would be foolish to dump Windows Phone and marry Android. The idea is almost unthinkable. Aside from the money, time, and effort needed to make another major transition, Nokia would burn bridges and risk collapse in the process. And to get where? To be in the same position as Acer, selling a million phones a year? Or HTC, an established Android manufacturer with plenty of support and a great phone, but still struggling to get by? No, Windows Phone is what makes Nokia different at the moment, but releasing a Google Edition of its coolest Windows Phone device would make it more different still, potentially awarding it an army of new fans, and giving the company’s management a glimpse of a rosy, multi operating system future. The marriage with Windows Phone needs to end, but they can still remain close. Go on, Nokia. Make a Lumia 925 Google Edition. It would be a hit phone; we have foreseen this. It is your destiny.